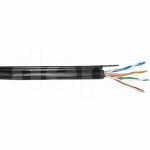 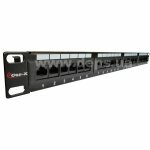 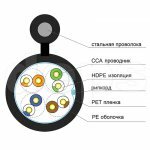 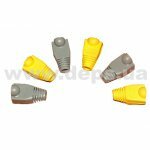 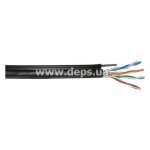 4-pairs UTP cable category 5e DCG UTP CAT5E 4P 0,50mm CCA PE-M is designed for outdoor use in local data networks: PBX, V.11, X.21, ISDN, Ethernet (10Base-T), ATM-25/52/155 Mbit/s, 100VG-AnyLAN, Fast Ethernet (100BASE-TX), Token Ring 16/100 Mbit/s, Gigabit Ethernet (1000BASE-T), Firewire 100 Mbit/s. 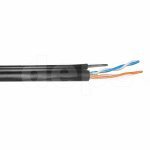 During installation and operation of cable with CCA conductors it is recommended to avoid excessive strain on the cable wires, because CCA conductors have less strength than conductors of pure cupper. 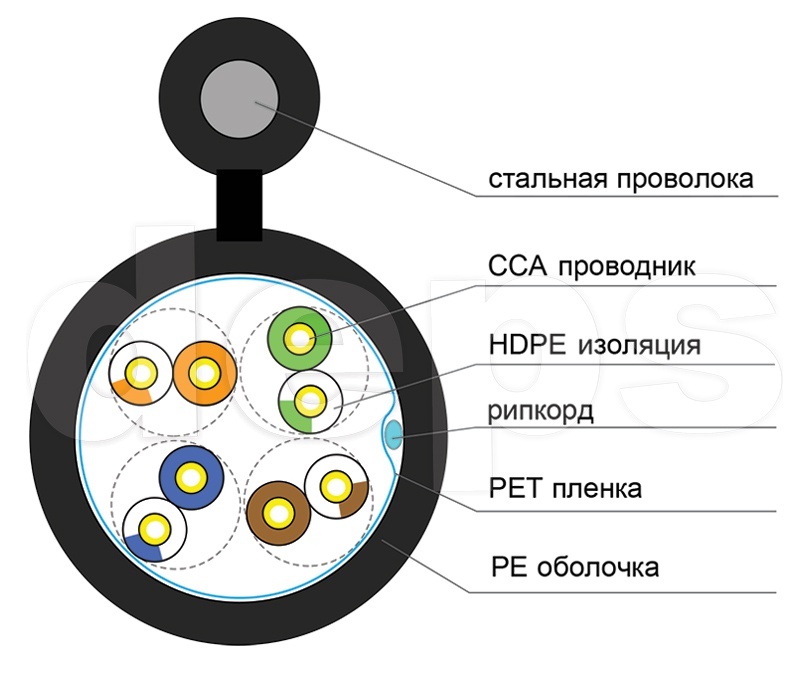 Cable consists of four pairs of twisted conductors/wires. 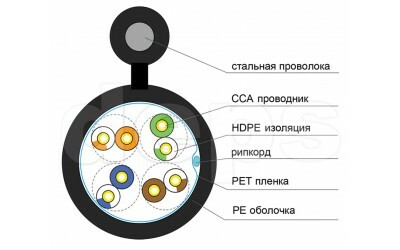 Conductor is 24 AWG CCA wire. 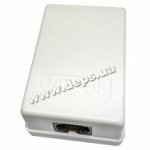 Its insulation is high density polyethylene. Outer sheath is made of black polyethylene, stable to UV-radiation. 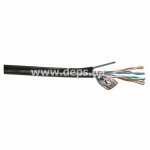 Galvanized steel wire provides necessary strength under suspension.